Come to MAX and join thousands of others who love to create as much as you do — and save $300 on a full conference pass with Early Bird pricing through July 30th, 2018. 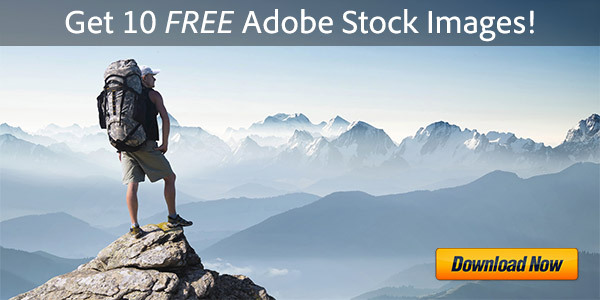 So you’ll save an extra $100 by using our special promotion code M18PDT instead. However, if your primary residence is outside of Canada and the United States, then you can get an even bigger discount: you’ll save $500 simply by registering through the MAX International portal… Just make sure to use the international voucher code given there, and you’ll get $500 off. 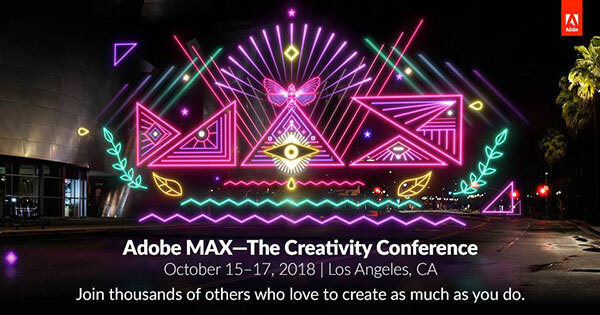 The world’s premiere creativity conference, MAX is an awe-inspiring mashup of 12,000 of the world’s top creatives and best in the business experts who come together to learn, share, create, connect and play. 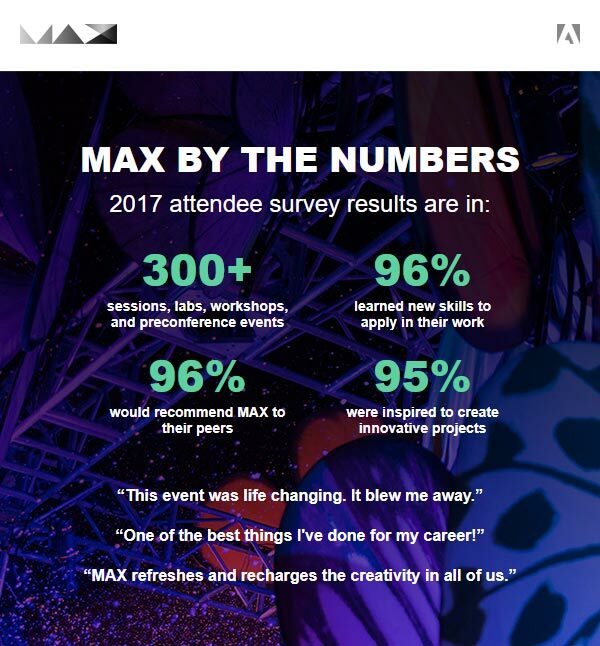 MAX offers over 300 sessions, labs and creativity workshops taught by industry leaders. 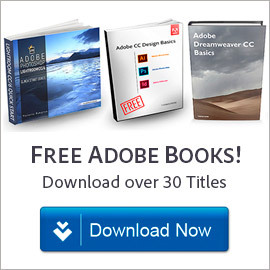 It’s the perfect blend of information, inspiration, practical knowledge and creative magic. 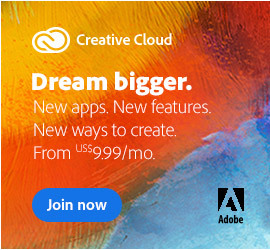 I was looking at your promo-code M18PDT for Adobe Max, and I was wondering if there were any prerequisites for using the code. Will it work for anyone and multiple people? Is there an expiration date? 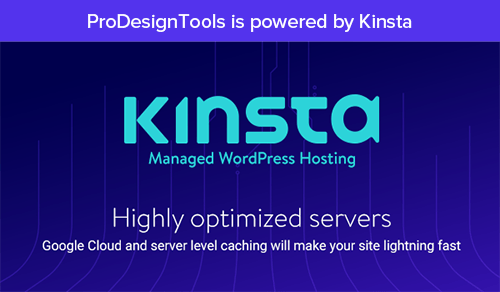 Yes, it is good for anyone worldwide and for as many people and registrations as you like – and the only expiration date is the conference itself! 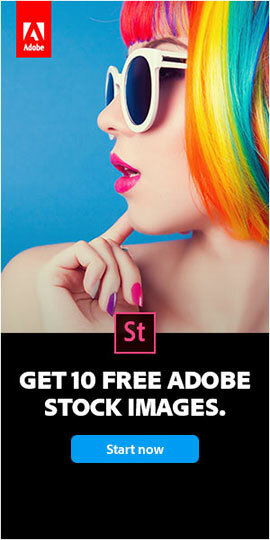 You just have to sign up here and use that exclusive code. Enjoy the show! It’s amazing and will be our 7th time.